As you may remember from my Samphire 100 race report, I often suffer from stomach issues whilst running. This can happen on both training runs and races and no matter how much I try to eat sensibly in advance of a session I can still find myself needing to make an urgent pit-stop to avoid a #codebrown moment.I have also noticed that I have been getting a bit bloated and was wondering if it was time to get back on some probiotic yogurt drinks to try and improve my gut bacteria and see if that helped. The problem is whilst I am not lactose intolerant, I have a sensitivity to products with bovine serum in (so basically some dairy products can irritate my stomach more than help it). 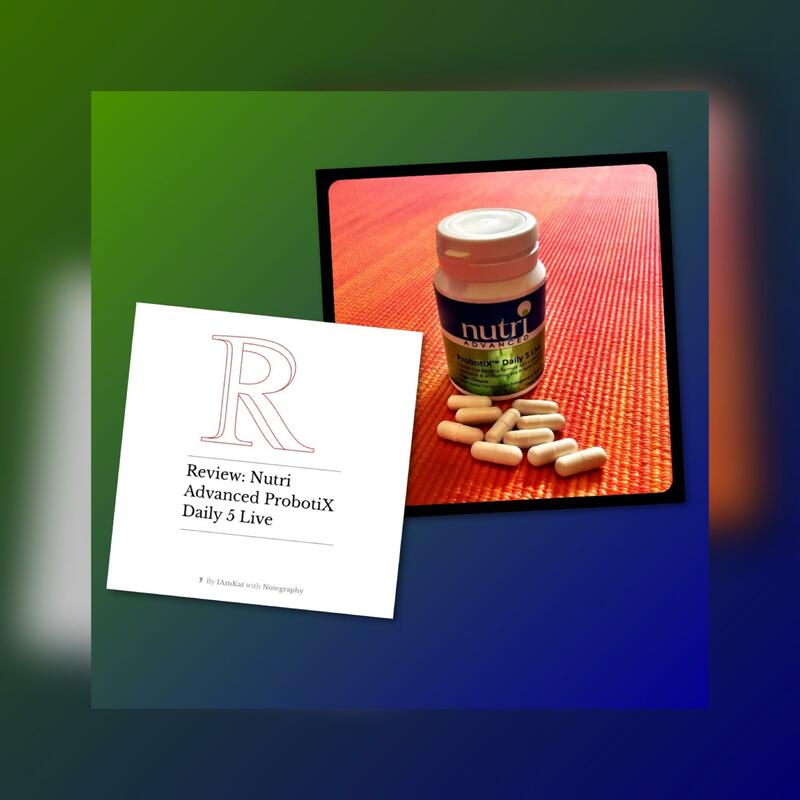 As the probiotic drinks are normally cow’s yogurt based, they might not be the best for me anyway, so I was grateful to have the chance to try a free sample of the Nutri Advanced ProbotiX Daily 5 Live tablets. As these are both Vegetarian & Vegan friendly, I knew that there would be no issues with any potential dairy intolerances. The fact they come in capsule form is great for me as it means if I am travelling with work I can take them with me to maintain my digestive health, something that can’t be said with the probiotic drinks (which need refrigeration, and would certainly use up my liquid allowance at the airport!). So do they work? Well, I have certainly seen an increase in regularity since I have started to use them, and they must have reduced my bloating as the Boyf has been commenting on the reappearance of my four-pack (I’m too lazy and like my food too much to have a six-pack!). They also contain 3 strains of Lactobacillus, so when I do stray from my Goat’s milk, butter and cheese and treat myself to a pot of molten fondue it keeps any negative reaction to a minimum. When my trial pot is finished I will certainly be buying some more as I do feel as though it has made a positive difference to my digestion and digestive behaviour. I know it won’t give any guarantees on race day as it is impossible to predict how a stomach is going to feel when you shake it about for hours on end, but I do feel as though it’s a step in the right direction to being able to race strongly and trust that my Imodium dose will keep pace with me. 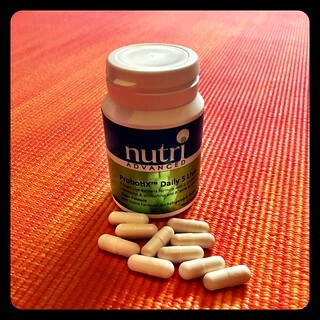 You can read the full details of what wonderful buglets are in the Nutri Advanced ProbotiX Daily 5 Live capsules on the Nutri Advanced site and also review what other useful products they have available.